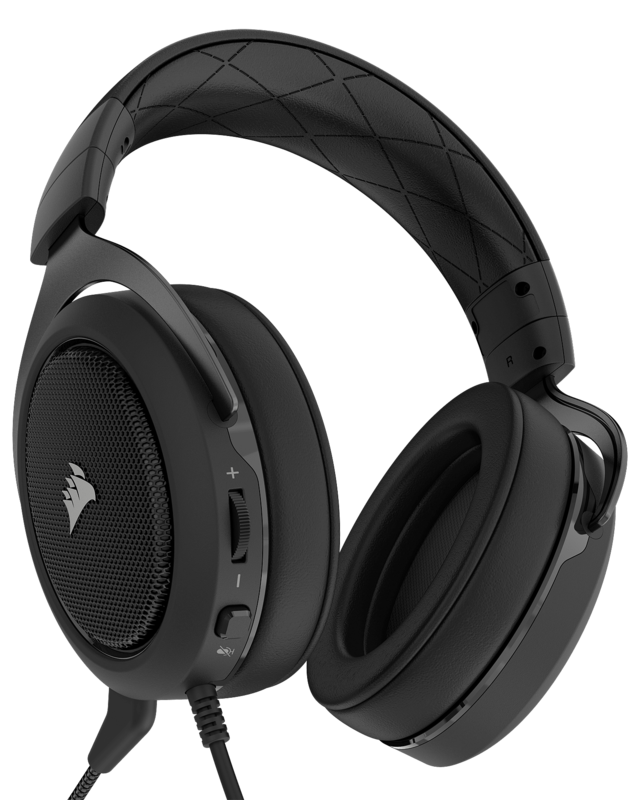 The CORSAIR HS60 SURROUND Gaming Headset provides comfort for hours of gameplay with its comfortable memory foam and adjustable earcups. 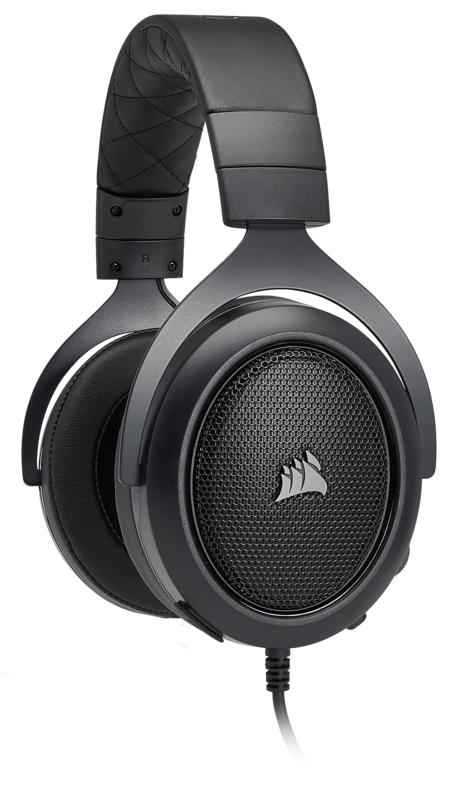 Legendary CORSAIR build quality ensures long term durability and the precision tuned 50mm neodymium speaker drivers provide superior sound quality. The optimized unidirectional microphone reduces ambient noise for enhanced voice quality and is fully detachable for use on-the-go. 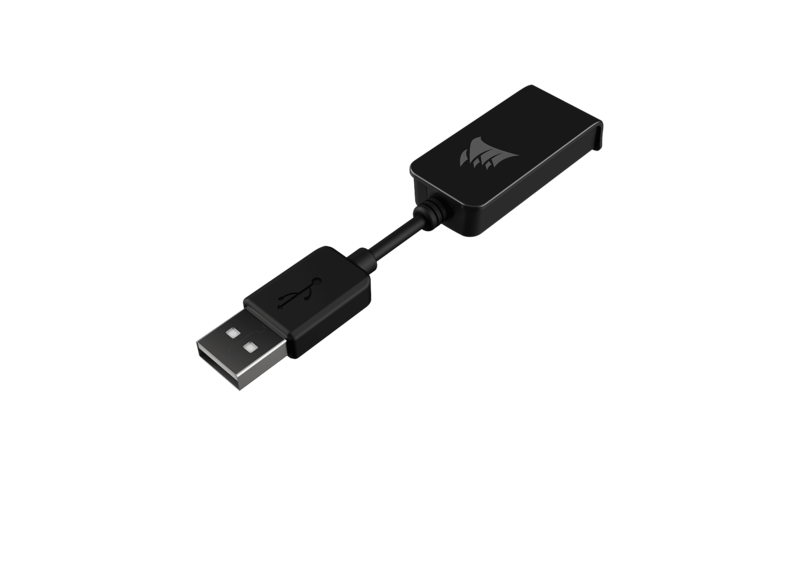 Multi-platform compatible with PC, gaming consoles and mobile devices, the HS60 also includes a USB adapter to unlock virtual 7.1 surround sound on PC, delivering immersive multi-channel positional audio. 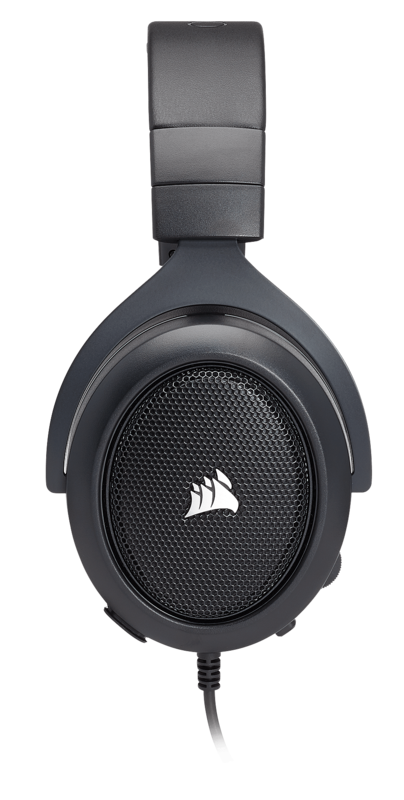 The ear cup features easy access volume and mute controls allowing on-the-fly adjustments while CUE software gives you full control over your headset’s features. Multi-Platform Compatibility:Immersive plug-and-play Stereo sound on PC, Xbox One*, PlayStation 4, Nintendo Switch and mobile devices. *May require Microsoft adapter sold separately.